At The New Human Body workshops (Singapore, Malaysia, Manila), Cosmic Master Thoth spoke on the origin and application of the esoteric symbol Flower of Life for restoring the natural re-generative ability of the human body. His discourse was to expand the knowledge contained in the Emerald Tablets, Tablet II- Halls of Amenti. 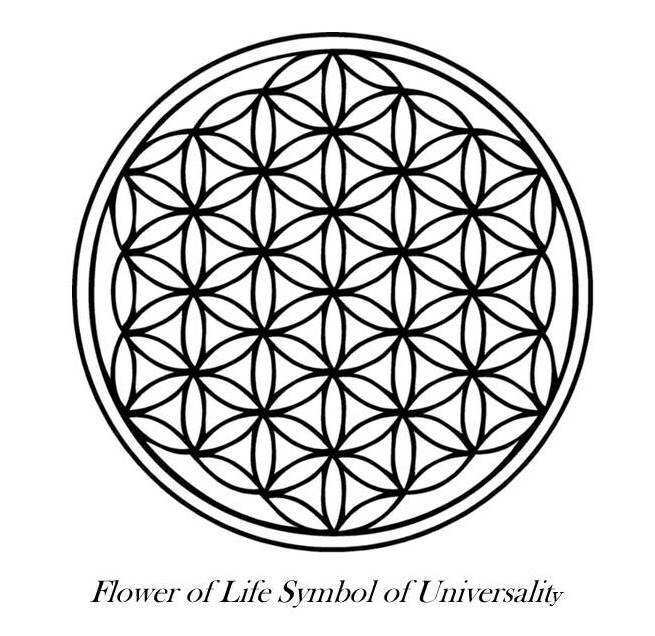 The Flower of Life in Amenti is the primodial life force sustaining all life forms on Earth. It does so by harmonising the energy matrix of Earth and that of the individual species, therefore allowing these life forms to continue to tap into Earth’s Kundalini for physical sustenance. The workshop participants were taught how to connect and channel the Amenti Flower of Life for restoring the natural balance of the human body and facilitating the expansion of its fifth dimensional counterpart. Encoded with the consciousness of Universal Love, the Flower of Life can also be utilized for planetary healing, especially during the current transitory and delicate time of the fifth and third dimensional realities coming together to offer us a wider range of earth experiences. For many, this process of diversion (expansion) and harmonisation (consolidation) of 3D-5D frequency bandwidth has been felt as stressful, both to the body and the mind. Such tremendous stress experienced on an individual level has clearly been manifested and amplified as all sorts of planetary crises. What goes around, comes around. As you assist in releasing and transmuting chaotic and stressful energies prevailing on the planet and in the human psyche, you too will be recharged and refreshed in body, mind and spirit. Wishing All an invigorating and inspirational New Moon! Blessings, Amara Tia Ann.